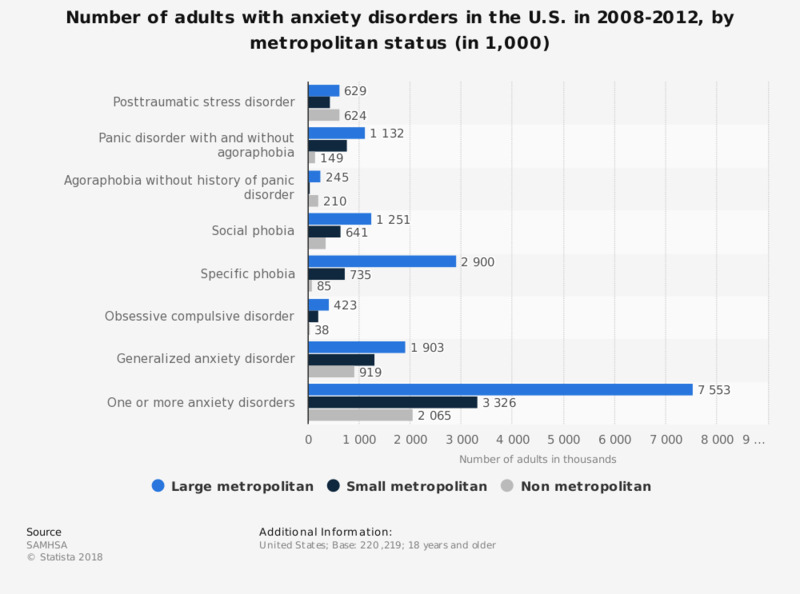 This statistic displays the number of adults with an anxiety disorder in the United States in the period 2008-2012, by metropolitan status. Some 1.3 million people living in a small metropolitan area in the country had a generalized anxiety disorder within a year. Large metro areas have a total population of 1 million or more. Small metro areas have a total population of fewer than 1 million. Nonmetropolitan (nonmetro) areas include counties in micropolitan statistical areas as well as counties outside of both metropolitan and micropolitan statistical areas.